The PowerShot ELPH 360 HS camera features a 12x Optical Zoom so spectacular shots are within your reach. You'll love the flexibility it gives you when shooting with an amazing range of 25¬–300mm (35mm equivalent) in a slim, compact camera. Plus, the wide-angle lens captures an expansive image in each shot, adding depth, perspective and grandeur. Landscapes, city scenes, family shots and more all benefit from the extra width. Whether you're shooting wide group shots or zooming to the telephoto end, your images can be bright and clear. Built-in Wi-Fi® technology helps provide on-the-go convenience when you want to share your photos and videos with friends and family. 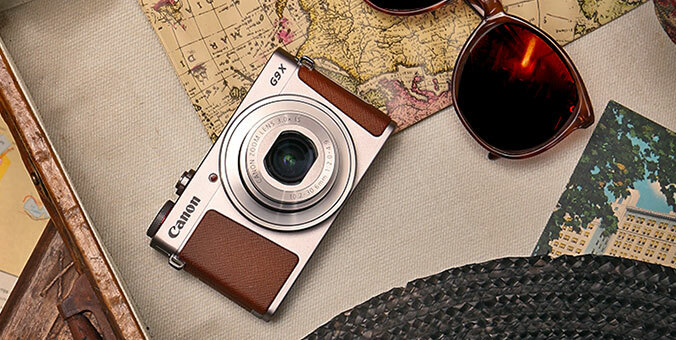 Easily post your images to social networking and media sites – Facebook®, Twitter®, YouTube™, Flickr®, and Google Drive™ – through CANON iMAGE GATEWAY* directly from your PowerShot ELPH 190 IS camera, or save them to the online photo album to share anytime, anywhere. The camera can also connect directly to both compatible iOS®** and Android™ devices***, and upload images via the free Canon Camera Connect app** without a computer. You can control the destination of your uploads to share with everyone or to select groups, and even add comments. Wi-Fi® capability makes posting in real time possible, so you can keep everyone up to date with photos and video even as events unfold. Wi-Fi® technology also allows you to transfer images to other Wi-Fi® equipped PowerShot cameras or print your photos directly to a PictBridge (Wireless LAN) certified printer. Thanks to the newly added Wi-Fi Button, you can now connect in both Shooting mode and Playback mode for quick and easy operation. You can even turn on the camera and connect at the same time with just one press of the button, helping you get right to sharing and managing your files when you like. The values in the table are based on Canon measurement conditions and may change depending on the subject, memory card and camera settings. VGA (640 x 480) 29.97 fps 8 hr. 25 min.